Shakespeare is exciting for some and a chore for others, but everyone can enjoy the Bard’s tales reimagined by Xavier graduate Amy Helmes with her new series for young adults, Twisted Lit. After graduating from Xavier, Helmes became a freelance journalist and now works as an editor for Soaps in Depth magazine, but Twisted Lit is her first time writing novels. It is all thanks to Kim Askew, Helmes’ friend and co-author, who asked Helmes if she wanted to work on a book together. Helmes and Askew worked together for five years on “Romancing the Tomes,” a blog about film adaptations of books. But Askew was asking to write novel; a radically different experience. Their first book, Tempestuous, retells Shakespeare’s The Tempest as a high school drama, where Miranda Prospero, a onetime “it-girl” who has fallen down the social ladder, takes advantage of a blizzard that strands herself in a mall with the clique responsible for her fall, to take revenge. Helmes did not want to just update Shakespeare’s language, setting and characters, but she wanted the books to stand as uniquely their own. Helmes and Askew wanted to make Shakespeare’s stories accessible for everyone. But that does not mean Helmes is abandoning her Shakespeare roots. There are several self-described Easter eggs for Shakespeare readers to find and enjoy. Helmes graduated from Xavier in 1996 with her bachelor’s degree in English. While studying at Xavier, Helmes served as the editor-in-chief for the Xavier Newswire, and was a co-vice president for the English Club. 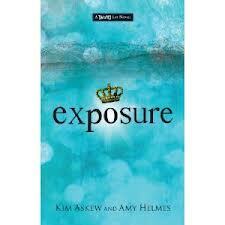 Their second book, Exposure, a retelling of Macbeth as a quest for the title of prom queen, was released in January. Both books are available on Amazon and Barnes and Noble. In classrooms today, students seem to care less about their appearance than their predecessors. Some apparently just roll out of bed and head to class, literally showing up in their pajamas. Not so in 1928, when “dress for success” was the norm. Back then, students wore suits to class. Oxford gray. What a change it would be if everyone wore a suit and tie today. 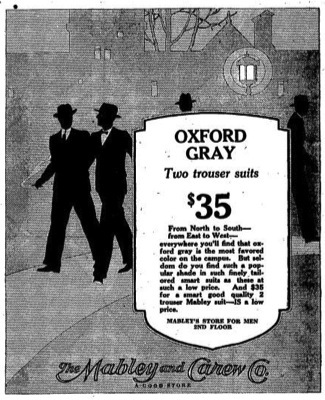 Then again, back in 1928 they only cost $35. Even students can afford that. Some truths are self-evident. Like college cafeteria food can be hard to swallow. A quick tour through the Hoff Dining Hall might challenge that assumption. Oven-fired pizza is always easy on the tastebuds. But there are always students who hate it no matter how good it is. Except, it seems, Xavier students in 1915. The Archive Dive found this announcement for a turkey dinner (bet it was a real turkey, too) served up in the lunchroom, which at that time was located in Hinkle Hall. The cafeteria was so confident that students would enjoy it, they offered a money-back guarantee. Another gem that we found hidden in the Newswire archives has to do with pizza. Because although it seems like college is more expensive these days, some things about college-life never change. Like the price of a pizza pie. Take Domino’s, for instance. The pizza-maker is using practically the same promotion today—a $5.99 special—that it did in 1988 (it was $5.95 then). The only difference in the promotion is that now you have to buy two items to get the $5.99 price per each. If inflation has gone up substantially, yet the price has gone up only 4 cents, something’s had to change to maintain profit margins. We wonder what that could be? Hmmmm. Xavier magazine profiles a lot of interesting people who continue to lead interesting lives after we’ve profiled them. Or is that because we’ve profiled them? Whatever. Here’s the answer to those haunting questions: Whatever happened to…? and Whatever became of…? Cheetah Visit | In the Summer 2012 issue, Xavier magazine included a photo feature by business professor Mark Frolick of cheetahs he’s taken at a local farm where the Cincinnati Zoo unleashes its cats and lets them run around, stretch their legs and act like the lightning-fast hunters they are genetically coded to be. In April, the Zoo brought one its youngest cheetahs, Savannah, to campus for a little meet-and-greet with business students. Xavier’s director for photography, Greg Rust, was on hand and captured the visit. Back Overseas | When Xavier magazine last visited men’s basketball players who were playing professionally overseas in the Spring 2006 issue, Justin Doellman was heading into his senior season and Derrick Brown was getting ready for his first year at X. For one season, they were a dynamic duo. Brown was flashy with acrobatic dunks; Doellman was calm and rock steady from the outside. Today, they’re still playing together, just on opposite sides of the court. Brown’s father forwarded a picture of the two—Brown for a team in Russia and Doellman for a team in Spain—before a recent Euroleague game. More than 20 recent Xavier players are playing—or have played—professionally overseas. Romain Sato, who was the focus of the previous article, is still playing and went on to win two league titles as was league MVP while playing in Italy. Strong Wills | Xavier has two Pulitzer Prize winning authors among its alumni, including Garry Wills, whom Xavier magazine featured in the Winter 2012 issue. Wills has never been one to shy away from a challenge, writing extensively on both religion and politics. He just released a new book, “Why Priests? A Failed Tradition,” which he discussed with Stephen Colbert on the Colbert Report in February. Still Dreaming | In the Spring 2012 issue, we profiled Bernard Pastor, a freshman who became the national poster boy of the Dream Act—the immigration reform effort that bounced around Congress like the proverbial hot potato. With the elections behind us, the issue has once again started bouncing, and Pastor has once again found himself in the news, this time as the lead to a story in the Huffington Post on Feb. 5. Tax Advice | Each year at this time, pencils get sharpened, numbers get crunched and stress levels rise. Why? In a word: taxes. Xavier helps relieve those who get taxed by taxes through its VITA program—the Volunteer Income Tax Assistance program. Under the watchful eye of accountancy professor Priscilla O’Clock, accounting students fill out the 1040 forms for low-income residents in the region for the astonishing charge of nothing. That is, for free. A local TV station recently picked up on the story. In the Spring 2005 issue, we asked O’Clock for some free tax advice. Here’s what she offered. Peace and Honors | Benjamin J. Urmston, S.J., the 86-year-old director emeritus of Peace and Justice at Xavier, is getting his due. First, the Church of the Resurrection in Bond Hill, Ohio, honored him with its MLK Keep the Dream Alive Award in January for embodying King’s ideals and working for equality, justice and Christian charity. Earlier, the Cincinnati Chapter of the NAACP presented him with its Fair and Courageous Award as a public servant who performs fairly, impartially and courageously and publicly recognizes professionals demonstrating fairness and courage. He was profiled in the Summer 2006 issue of Xavier magazine. And, even though he is now retired, Urmston is still promoting peace, writing in November 2012 on the Tikkun magazine website about war and peace. Picture This | In the Spring 2011 issue, we profiled Tim Niehaus, an MBA grad who currently just finished serving as president of the Ohio Senate—term limits bumped him out of public service. Still, he was recognized for his role with a painting that will hang in the Ohio Senate Chamber. The Portsmouth Daily Times had the story. Turner’s Time | Way back in the Summer 2002 issue, we profiled Khary Kimani Turner, a 1992 communication arts graduate who spent his days as a writer for the United Way in Detroit and his nights as a poet and freelance writer for national hip-hop magazines. Crain’s Detroit Business offered an update on Turner: He’s now executive director of the Coleman A. Young Foundation. Extra, Extra | In the Spring 2011 issue of Xavier magazine, we had a photo of the new George Clooney film, “The Ides of March,” being shot on campus. As it turns out, not only can you see Xavier in the background of the movie, you can also see some Xavier students. Ellen Bauer, a junior majoring in finance and economics, got called to be an extra in the movie and shared her story on Cincinnati.com. More Cards | In the Winter 2011 issue of Xavier magazine featured Karen Gladstone and her yearlong adventure to expand her horizons by combining 52 playing cards, 52 friends and 52 weeks. Each friend got a card on which they wrote a challenge that she has to perform over the course of a year. She documented her adventure on her website, and the idea caught on to the point she began offering Karen on Deck Kits to anyone else so adventurous. One of the takers was MBA student Caroline Keating, who started in April with The Caroline Challenge. Helping the World Over | The Summer 2010 issue of Xavier magazine included a story about Ben Krause, a 2003 graduate who was working in Ethiopa with the Catholic Relief Services. He’s since moved on to another part of the world in desparate need of help, Haiti, where he’s the program manager for CRS’s community resettlement and recovery program. Public Radio International’s The World included Krause in a story on the rebuilding efforts. Scoring Big | How did one pre-med student overcome a disability and get into Xavier? Great grades, hard work and an ability to impress Cincinnati Bengals head coach Marvin Lewis. Armand Cann is a freshman this year at Xavier with the goal of becoming a surgeon. In order to help pay his way, he applied for a scholarship from the Marvin Lewis Community Foundation. All of the scholarships were already filled for the year, until Cann interviewed with Lewis. That changed everything. The coach and the future doctor were the subject of a profile on Bengals.com. Lake Effects | The Spring 2009 issue of Xavier magazine included a story about 1999 graduate Sara Elizabeth Timmons, who started her own production company and has produced more than a dozen independent films. At the time, she was planning her next movie, “Lake Effects.” The film aired on the Hallmark Channel in May 2012 and stars actress Jane Seymour. The Roanoke Times did a story about the movie being filmed. Cincinnati played an important role in unraveling the mystery of the Dead Sea Scrolls since they were first discovered by Bedouin shepherds in 1947. It was Cincinnati’s Hebrew Union College researcher Ben Zion Wacholder who created the first translation of the scrolls in 1991 at a time when the Israel Antiquities Authority was keeping a tight grip on their release for study by biblical scholars. Wacholder had secretly obtained a concordance, or index, of all the words in the scrolls and used a computer to reconstruct the unpublished texts of more than 500 of the 900 plus scrolls that had been found more than 40 years prior. As a result of the publication of A Preliminary Edition of the Unpublished Dead Sea Scrolls in four volumes, the Antiquities Authority agreed to lift the restrictions on accessibility to the scrolls, the original biblical manuscripts that are considered the most significant archaeological find of the last century. Melcher was the guest speaker at the Loyola Lunch seminar on Thursday, Feb. 7, at the Center for Mission and Identity in Fenwick Place on campus. As a scholar of the scrolls, Melcher detailed the content of the manuscripts and the significance of their discovery and translation, made possible by the work of Cincinnati’s Wacholder. About a quarter of the scrolls contain biblical texts that are considered the oldest copies in existence, she said. Bible translations in existence today used a manuscript of the Hebrew Bible that was copied in the year 1008 CE (Common Era after Jesus’ death), many centuries removed from the time the scrolls are thought to have been written between 400 and 300 BCE (before the Common Era). “It was an incredible discovery for biblical scholars,” she said. The scrolls are on display at the Cincinnati Museum Center through April 14. The collection of 972 texts was discovered in a series of 11 caves between 1946 and 1956 on the northwest shore of the Dead Sea in the community of Khirbet Qumran and are identified with a Jewish sect called the Essenes. The scrolls are handwritten in Hebrew, Aramaic, Greek and Nabataean, most on parchment but some on papyrus and one n copper. In addition to the biblical manuscripts, other manuscripts include psalms and sectarian writings that reflect issues of importance for the Essene community including rules about community behavior, law, war and blessings. Qumran was destroyed by Romans around the year 68 CE and is now known as the West Bank. Melcher said these additional texts have shed light on cultural elements of the Qumran community. For example, she said the people valued purity and insisted on ritual bathing before taking their noon meal. And they always gathered together as a community for the meal. The scrolls on display at the Museum Center are housed in a 25-foot-diameter Communal Scroll Table, which protects the scrolls and is the main showpiece of the exhibition. Because they are so fragile, the scrolls may be displayed for only three months at a time before they must “rest” in complete darkness for a year. The new rotation includes scrolls of Deuteronomy, Psalms, Isaiah Commentary, Book of War, Aramaic Levi, Pseudo-Ezekiel, Apocryphal Lamentations, Papyrus Bar, Community Rule and Leviticus/Numbers. The exhibit, Dead Sea Scrolls: Life and Faith in Ancient Times, is the most comprehensive collection of ancient artifacts from Israel ever organized, including one of the largest collections of the priceless 2,000-year-old Dead Sea Scrolls. The exhibition was created by the Israel Antiquities Authority from the collections of the Israel National Treasures and produced by Discovery Times Square and The Franklin Institute. Dakota Strugarek, a cadet in Xavier’s Army Reserve Officer Training Corp program, has been selected for the U.S. Army’s Cultural Understanding and Language Proficiency Program. The program provides cadets with a 30-day experience in a different country to gain an understanding of different cultures in countries where they could be stationed as officers. The program is sending Cadet Strugarek to Romania this summer. Cadet Strugarek is a native of Erie, Mich., and is currently a sophomore at Xavier majoring in psychology with a minor in philosophy. The program is highly competitive and prepares cadets for cultural immersion through academic projects and missions, and leadership development. Immersion exposes them to other countries and their different lifestyles, economic standing and world perspective. Trips typically involve approximately 20 cadets and a cadre member traveling with a civilian agency or non-governmental agency. They last about one month, including deployment as well as a five-day soldier readiness process. Selection takes several factors into account, such as GPA, physical fitness and an essay. Xavier first offered military instruction in 1877. Xavier ROTC has a number of distinguished alumni, including six generals. Since 1991, Xavier’s ROTC program has received the General MacArthur Unit Award eight times. This award identifies the top ROTC units among all across the United States and is based on an assessment of each program, including training, performance and cadet academic grade point average. Meredith Towbin, who earned her master’s degree in English from Xavier, has been a writer for her whole adult life—spending time as an English teacher, an editor and a freelancer. But she always wanted to call herself a novelist. Now she can. Towbin’s debut novel, Straight Jacket, which will be available in print March 15, tells the story of 18-year-old Anna, who is committed to a psychiatric hospital after she threatens suicide to escape her abusive parents. There, she meets 19-year-old Caleb, a boy who thinks his mission is to help Anna break free from her parents. Many of the characters in Towbin’s book suffer from various psychological illnesses. And although Towbin had no experience working with mentally disabled men and women prior to writing the novel, she wanted to accurately portray their illnesses. So she did what good writers do and poured hours upon hours of research into the project. After five months of non-stop researching and writing, Towbin finished Straight Jacket and it was ready for publication. Now, Straight Jacket is digitally available through Amazon, and, according to her website, a second novel is in the works. If you’re known as The Ethics Guy and plan to wade into a room full of bankers, Xavier’s as good a place as any to take the dive. If nothing else, at least there are priests close by to administer Last Rites. 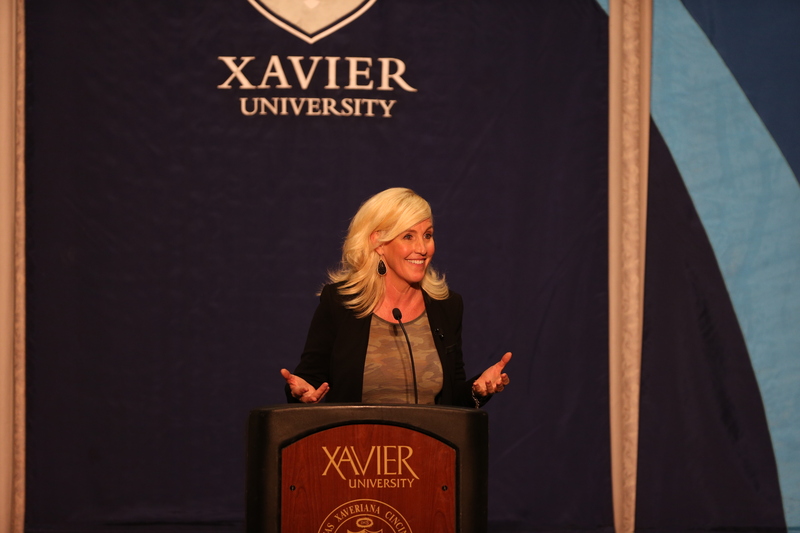 Luckily, if you’re Bruce Weinstein—a columnist for Business Week, regular on CNN, NBC, FOX News, et al, not to mention consultant to the NFL and other big-name clients—his appearance at Xavier’s Distinguished Speakers Series on March 7 was just another gig. But an ethical gig. The speaker series provided the venue for Weinstein’s distinctive Socratic stand-up wit, presenting a ethics primer in the form for a conversation between him and his audience. A hand raises and Weinstein instantly channels his inner Phil Donahue wading into the crowd. “Why would you stay home and rest?” he asks a nicely dressed young man. “So I wouldn’t get other people sick,” he says. Seems reasonable. So it goes in Weinstein’s conversation (as he calls it) on ethics. Honesty, truth, respect, fairness, caring and more get a work out as he works the room. Luckily, the answers to life’s ethical questions both large and small can be subjected to the five basic questions presented in his book Ethical Intelligence: Will this cause harm? Will this make things better? Will this respect others? Is this fair? Is this caring? And in 45 minutes a gathering of seemingly reasonable and self-evidently ethical strangers have given their own personal code a quick tune up, publically confessing to mostly minor transgressions, culminating in two people willing to admit they sometimes felt unappreciated. For that effort they were brought to the stage and given a 30-second standing ovation from the audience. And for those two, the bravely underappreciated, dessert was served twice. Ready to put your own credo to the test? Go to TheEthicsGuy.com and prepare to squirm, maybe just a little. The Cintas Center Banquet Room was packed with students, professors and visitors from off campus on Monday, March 25. They all came to see Erin Brockovich. “It surprises me how many people see me and say, ‘You’re not Julia Roberts,’ ” Brokovich says, eliciting laughs from the audience. Brockovich was a single mother struggling for a job back in 1993 when she found herself as the driving force behind the largest medical lawsuit in history. Her story of uncovering corruption and upholding ethics was portrayed by Roberts in the 2000 movie Erin Brockovich. The role won Roberts an Academy Award and Brockovich national recognition—although, perhaps, in name only. 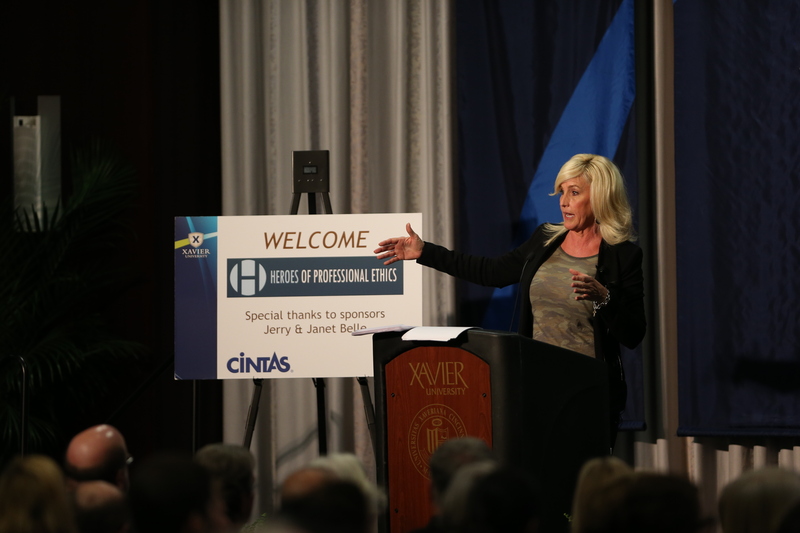 Brockovich’s efforts also won her the role of speaker at this year’s Heroes of Professional Ethics Lecture Series, the annual event that has now drawn such ethical dignitaries as whistleblowers Cynthia Cooper and Sherron Watkins, and forger-turned-FBI agent Frank Abagnale. But Brockovich’s quest for doing what’s right hasn’t stopped with the $2 billion lawsuit over Pacific Gas and Electric that pushed her into the spotlight. Since then, she’s continued to hold large companies responsible for their damages to the environment, because, she says, when the environment is harmed, so is the community. Covering up environmental damages causes not only health concerns but destroys any trust the company may have had with the community. And that was the heart of the issue. Honesty. And the heart of her talk. Brockovich believes we have the power to help ourselves, pointing to her “RAM system” as an illustration. RAM stands for Realization, Assessment and Motivation. Realization is to recognize who you are, what you are capable of and then finally taking action. Assessment is to take stock of who you are, assessing you skills, values and beliefs, to determine if you are happy with yourself. If you are not, she says, start over and don’t fear change. The final piece is motivation, which she says is the key to success. Find out what inspires you and reflect. When the three work together, she says, anything can be achieved. Xavier graduate Frank B. Nieman just released his new theological book, Religious Faith and Reason: A Brief Introduction. In his younger days, Nieman took part in an experimental professional evangelist program for the Catholic laity in San Francisco. Although the program ended after Vatican II, Neiman’s experiences and background, including holding a master’s degree in philosophy and a doctorate in theology, led him to see how reason was influencing not only his conversion but also his preaching. Nieman believes human reason is the greatest gift the Creator has given us. As a result, he claims religion’s origins, content and effects on the world should be subject to a rational analysis. Religious Faith and Reason: A Brief Introduction introduces the concept of rational analysis, which Nieman demonstrates through Christianity. Although he warns there may be a few heresies within his approach, he welcomes reader feedback. The book can be ordered at Amazon, Barnes and Noble and other bookstores. If a Tree Falls is a resource for all teachers. Written by Xavier alumnae Allison Scholl, the book explores the modern classroom and reveals the troubling issues that arise. She hopes to inspire readers to become agents of change in what she sees as dire circumstances by portraying the harsh realities students’ experience. If a Tree Falls is designed to be a catalyst. Scholl argues that a system can be designed which focuses on helping children, both cognitively and emotionally. Her book is unapologetic in its portrayal of classroom problems and issues, and it is Scholl’s intent to use this blatant honesty to inspire readers to get involved with instituting change and reform for the sake of all students and society as a whole. The book can be found at Amazon, Barnes and Noble, Joseph-Beth Booksellers and other book sellers.